Star City High School Art Teacher Darren High named Arkansas Secondary Level Art Educator of the Year by The Arkansas Art Educators Association for 2017. Roger Darren High entered the teaching profession in 2005 after graduating from the University of Arkansas at Monticello in 2004 with a Bachelor of Arts in Art and English with a Writing Concentration. He became the first certified elementary art teacher for the Dermott School District where he taught at the elementary, middle school, and high school levels and served as the yearbook advisor until 2011. High joined the Star City High School faculty as the art teacher in the fall of 2011 he teaches Art 1, Art 2, Studio Art 2-D, Studio Art 3-D, and AP Studio Art. He also serves as advisor for the Star City High School Art Club. 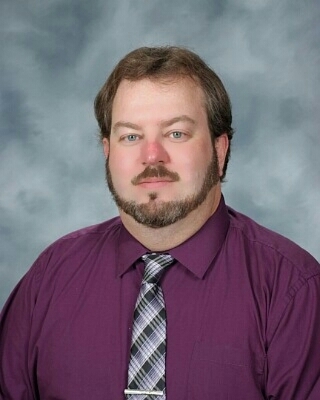 High has served as Arkansas Art Educators News Director since 2016 where he maintains social media accounts for AAE including Twitter, Instagram, and a public AAE News page on Facebook. High previously served as AAE Southeast Regional Director for two years. He serves as local president for the Star City Education Association. He has served on several state level committees for both AEA and the Arkansas Department of Education. He has been awarded over $20,000 in grant money for educational programs including 7 Target Field Trip Grants and has helped implement over 46 field trips to provide educational opportunities for his students. Field trips have focused on interdisciplinary connections to visual art and cultural enrichment including visits to art galleries, plays, cultural festivals, historic sites, science museums, planetariums, zoos, parks, bridges, waterparks, amusement parks, movie theatres, riverboats, and nature centers. What he enjoys most about teaching is the ability to introduce students to new ideas and new experiences that they have never had. The majority of his students have come from lower income families and have not had the opportunity to travel much. Through the field trips he has implemented he has been able to give his students the opportunity to explore, observe, and investigate educational sites, giving them first-hand experiences they would not have been able to have in a traditional classroom environment. He enjoys being able to use art to help students realize their creative talents. He believes visual art engages students in the development of creative problem-solving skills and gives them a better understanding of human experience and other cultures.